Associated Hearing Professionals will help you move beyond the frustrations of hearing loss, so you can experience life with clearer, more comfortable hearing. Whether you are entering pre-school, enjoying your Golden Years or somewhere in between, it’s important to have a hearing exam at least once every year. (Evaluation as a baseline for your health. The audiologists at Associated Hearing Professionals will recommend follow-up evaluations as indicated by your individual circumstances.) Hearing loss can sneak up on you, and unless you have it checked, you may not know you have a problem until it has progressed to a level that can make it difficult to correct. 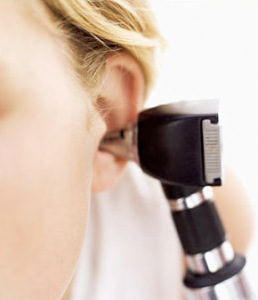 A hearing test is a quick, painless, and non-invasive test performed by an audiologist. The test begins with a thorough case history, which provides specific health information that may provide insight into hearing loss causes and will assist in determining which tests should be performed. Following the case history, the audiologist will examine your ear canals and eardrums with a special light called an otoscope. Next, the levels of hearing in each of your ears will be measured in a sound-treated test booth. During this test, a series of tones of different pitches, as well as speech signals are presented to each ear through foam inserts or headphones. You will be asked to respond to the signals by either pushing a button, raising your hand, or in the case of speech signals, repeating what you heard. You will be asked to respond to the lowest level that you can hear, which determines your hearing thresholds. Thresholds for each pitch and ear are plotted on a graph called an audiogram. Further tests may be conducted during the hearing test. Your ability to understand words or sentences at different volume levels may be assessed to determine how clearly you hear speech. Following the tests, the audiologist will discuss the results with you and may provide further recommendations such as medical referral or treatment options such as hearing aids. If you suspect you have hearing loss, it is important to have your hearing tested as soon as possible. The use-it or lose-it principle does apply to our hearing; the sooner you treat hearing loss, the better the outcome of treatment. The Audiologists at Associated Hearing Professionals provide informative consultations to ensure that you understand your hearing health. We also provide individualized solutions for improved speech understanding and clarity, as well as recommendations for improving communication in all listening environments. Musicians, industrial workers, farmers, pilots, dentists, sports car racers, motorcyclists, or anyone else with hearing concerns, or who is or has been exposed to excessive amounts of noise. We also provide assisted living devices including devices to help with television, amplified telephones, and special alarms. Call or visit Associated Hearing Professionals today. With offices in Clayton, MO and Chesterfield, MO we provide hearing tests, hearing aid evaluations, and hearing conservation evaluations to St. Louis area patients ages 4 and older.